Bleadon Parish seems to be suffering from a litter epidemic, just look at the A370 and surrounding rhynes. Our community is not alone as Defra joins forces with Keep Britain Tidy to launch the ‘Keep it, Bin it’ campaign. 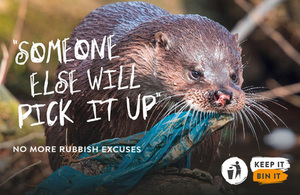 "Shocking images are at the centre of a new campaign unveiled today (30 November) to crack down on littering in England ... supported by some of the biggest names in retail, travel and entertainment, the campaign features poignant images of wildlife eating and getting tangled in litter, contrasted against typical excuses for people give for dropping litter"
"We want to improve the UK’s air and water quality and protect our many threatened plants, trees and wildlife species. Our environment plan sets out our goals for improving the environment within a generation and leaving it in a better state than we found it. It details how we in government will work with communities and businesses to do this." 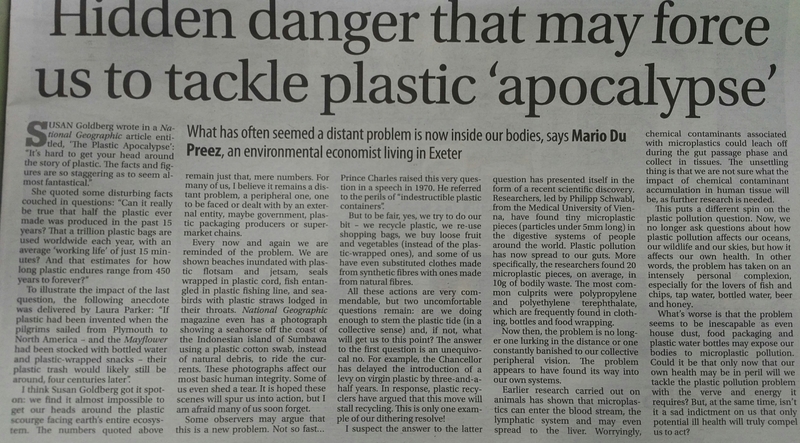 "Plastic pollution has now spread to our guts ...This puts a different spin on the plastic pollution question. Now, we no longer ask questions about how plastic pollution affects our oceans, our wildlife and our skies, but how it affects our own health." 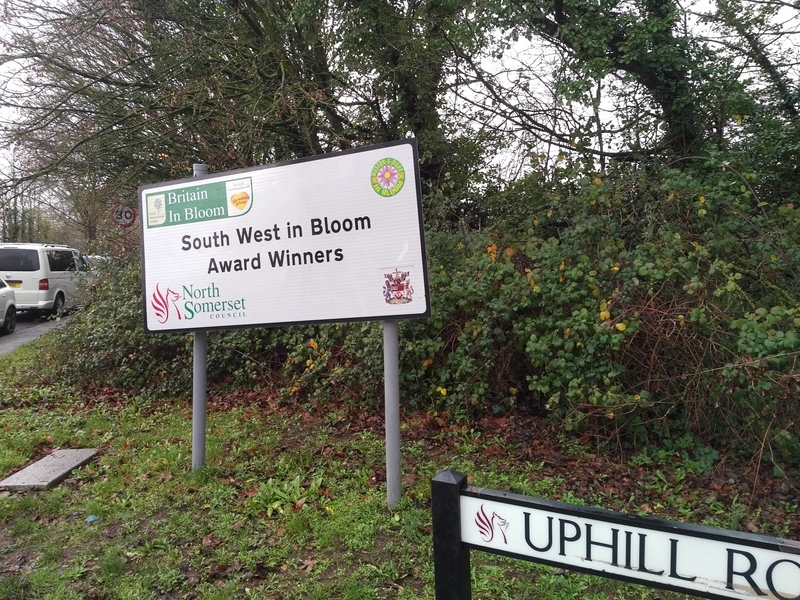 North Somerset advertises its South West in Bloom Award on the edge of Bleadon/Uphill on the polluted A370. How can the initial enthusiasm and community effort put into projects such as these be sustained to protect our environment after any award incentive? Let's hope the Bleadon in Bloom project by BPC (£2.4K resident precept Min 317.17), its Neighbourhood Plan (£2.5K resident precept + Grants F&P min 54.7), and its Parish Ranger can help tackle this problem for the whole parish not just the village! Report submitted just now (1236627) as overgrown vegetation with comment regarding litter as well. Normal working days are Tuesday, Wednesday and Thursday. I aim to respond to emails within five working days. Please see below a report made to NSC. Please could you/BPC also report this issue too please? Clearly resolving this would greatly benefit 'Bleadon in Bloom' project. NOTE: Also reported as Litter but vegetation on/over paths is overgrown reducing the width dangerously in places. You may recall the issues previously raised with NSC, Councillors and our MP regarding the poor maintenance of A370 footpath to/from Bleadon and WSM as reported in 2013-15. Unfortunately these problems have not really gone away despite welcome but only annual superficial attempts at clearance of vegetation and overgrowth. Please see https://www.bleadon.org.uk/beinvolved.html?post_id=29070 and recent photo evidence https://www.bleadon.org.uk/needsabroom.html. I am sure you agree that the amount of litter (plastic bottles, cans, takeaway packaging, building materials, even tyres! etc. etc.) is quite unacceptable and especially on this main road 'gateway' to Bleadon and WSM. Please can you program some clearance ASAP from both NSC and landowners as appropriate, and let me know when it is scheduled? Finally, I should mention that this is only one side of the road, I am quite sure similar problems could be found on the other side too!